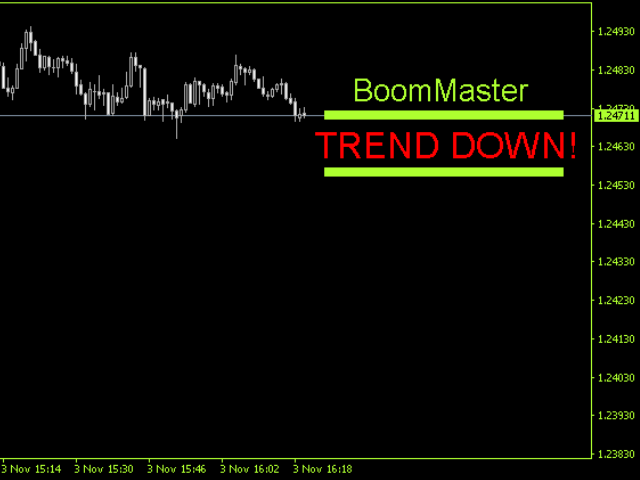 The BoomMaster indicator monitors the trend using analysis of the price. Once the indicator performs the analysis, it displays on-screen recommendations about the preferable direction for opening trades. 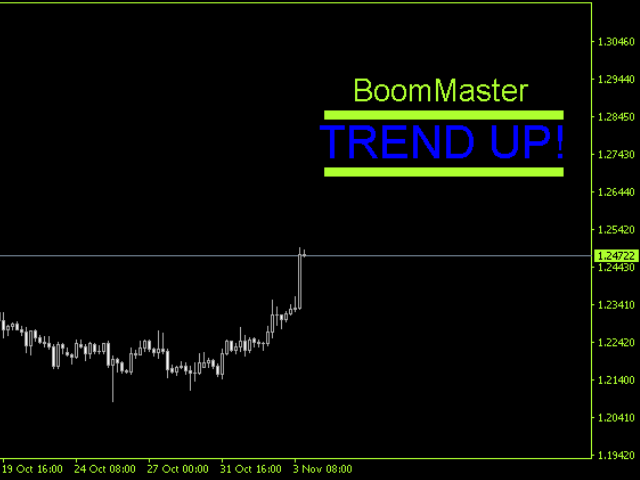 In the settings, it is also possible to select the timeframe for calculation and analysis of the price. This way you will be able to know the price movement direction on the higher timeframes while working on a smaller timeframe. 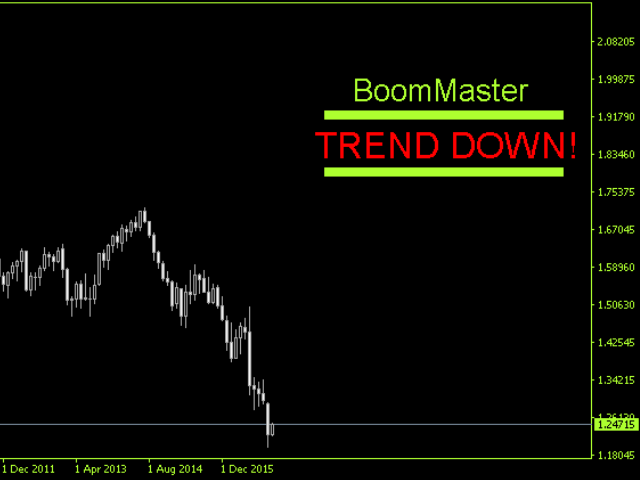 This indicator works on any currency pair and any timeframe.